Orcutt is a charming town with comfortable neighborhoods and beautiful surroundings. The landscaping for your Orcutt home or business should mirror the charm and splendor of the area. Wild Bloom is a boutique landscape design and construction company committed to creating sustainable outdoor spaces that are uniquely crafted to match your tastes and needs. Our landscapes include vibrant low water plantings, fully functional outdoor living areas, custom hardscapes such as patios and walkways, expert masonry, and just about anything else you can dream up. 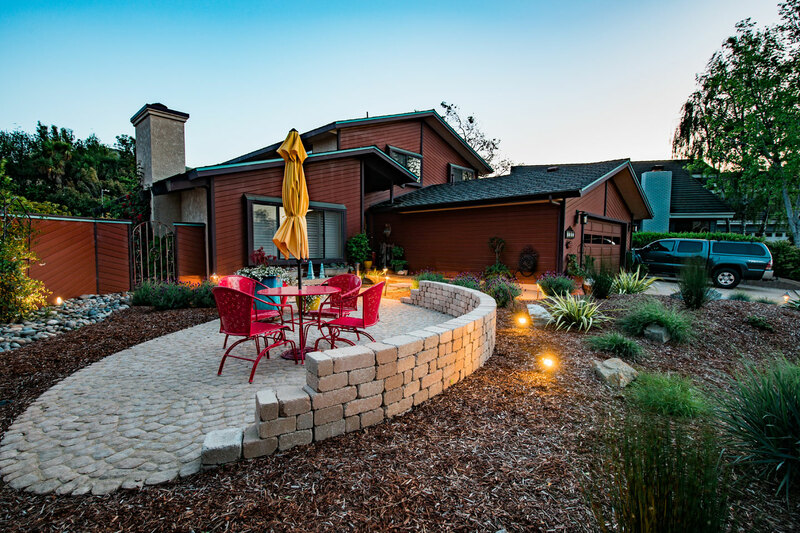 Landscaping in Orcutt comes with many of the same challenges as the rest of the Central Coast. Using fresh and intelligent design and construction principles, we create landscapes that flourish with very little water or maintenance. We focus on sustainability in landscaping by using drought-tolerant plants, low water lawn alternatives, rainwater management, permeable hardscapes, and low-maintenance landscapes. Wild Bloom’s landscapes are a fusion of earth friendly functionality with artistic splendor, giving you an outdoor space you can feel comfortable in and be proud of.